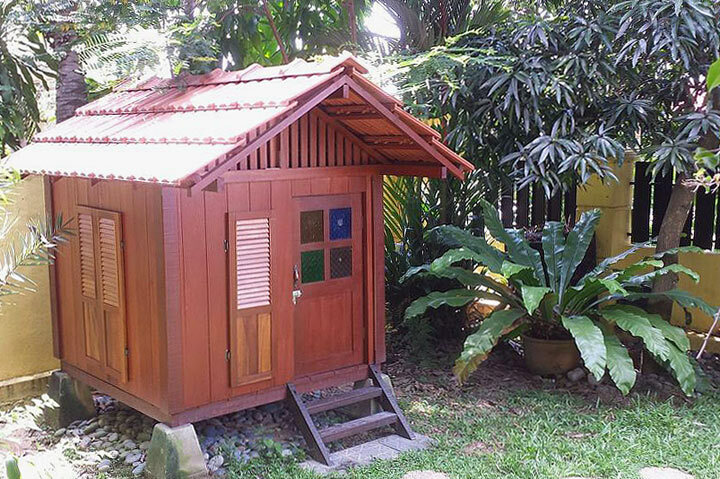 Adults and children appreciate having plenty of seating areas in and near their playspace. 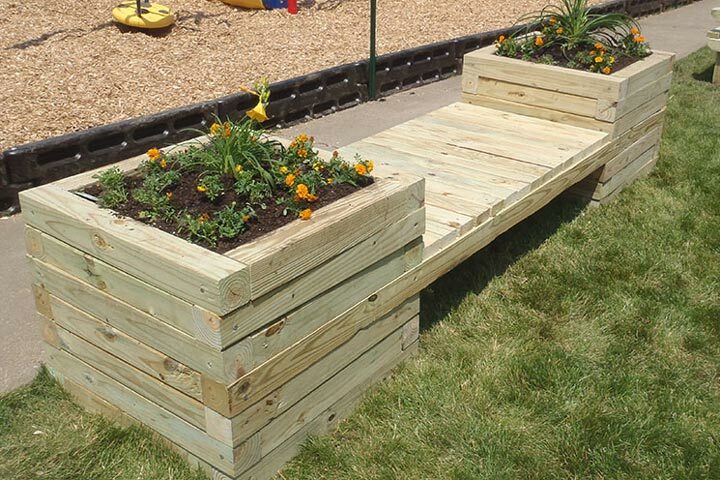 Benches encourage adult supervision when placed in close proximity to the playground equipment. The double planter bench can be a combination bench + planter OR can be used as a bench with a chessboard tabletop in the middle! 1. 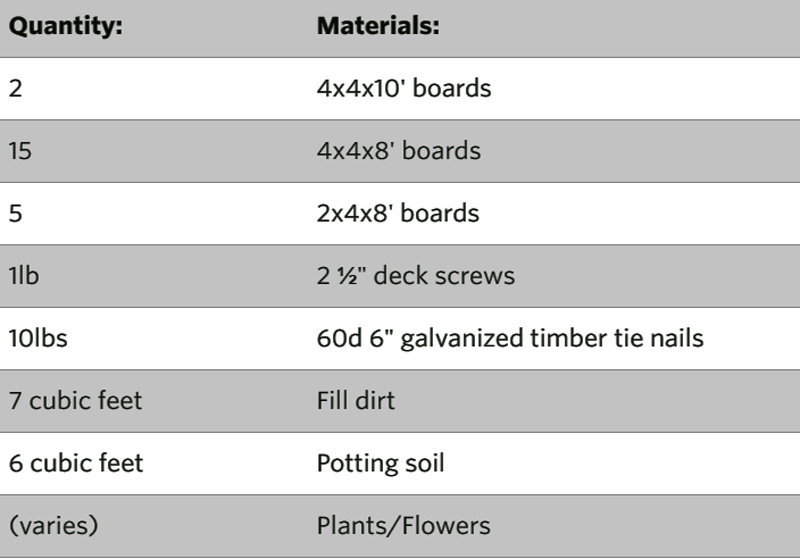 Sort all materials into piles by like items to ensure you have materials needed to complete project. 2. Take  of the 4x4x8′ boards. Cut each into  24″ pieces for a total of  4x4x24″ pieces. 3. Take the  remaining 4x4x8′ boards. Cut each into  31″ pieces for a total of  4x4x31″ pieces. 4. Take the  2x4x8′ pieces. Cut each into  31″ pieces, for a total of  2x4x31″ pieces. 5. Do NOT cut the  4x4x10′ boards. 1. Before building, inventory and sort all of your materials. 2. Build the planter squares. 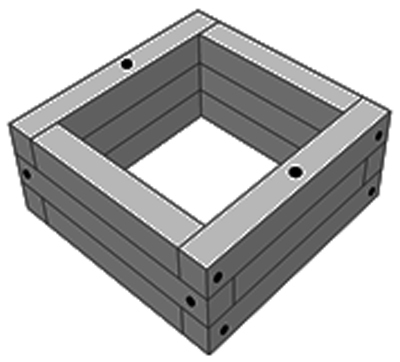 Create 12 planter squares using (2) 4x4x24″ and (2) 4x4x31″. 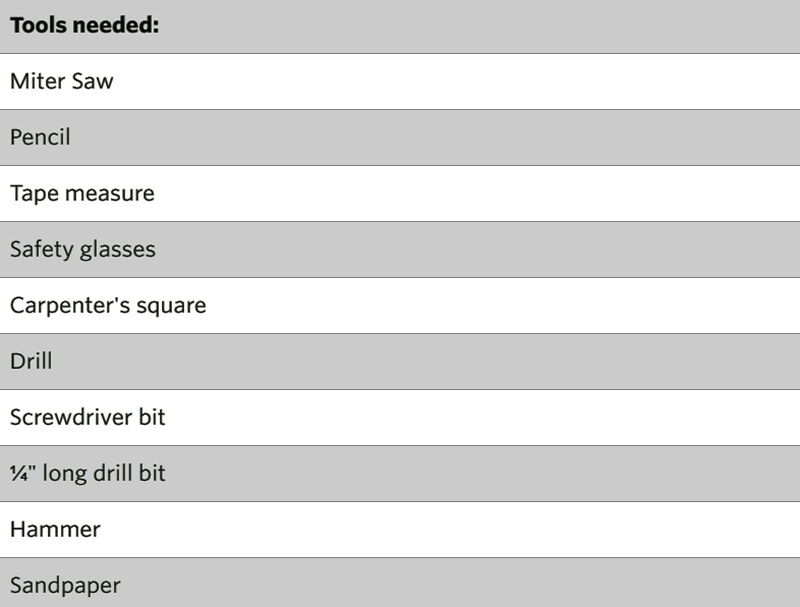 Attach these 4x4s using 6″ nails and a hammer. You will want to pre-drill the holes with the ¼” drill bit to avoid bending the nails. 3. 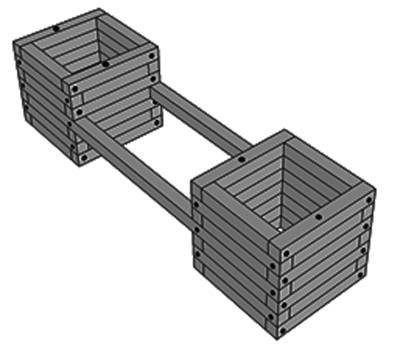 Build the planter bases. Using 6 of the squares you just made, build 2 planter bases, each 3 levels (or squares) high. 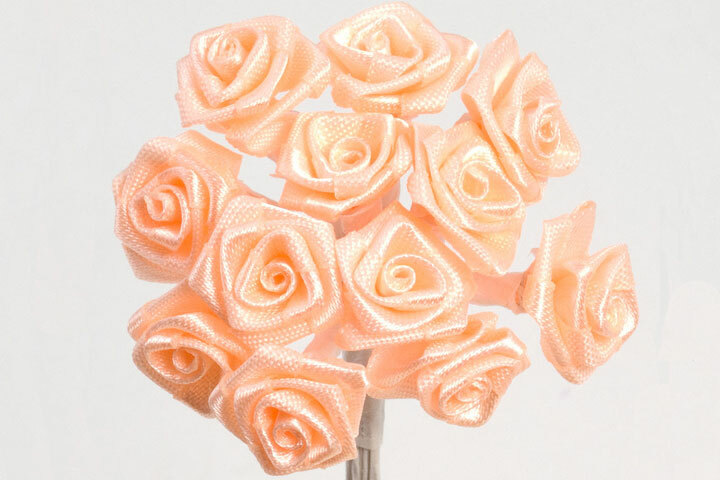 Attach one level at a time, rotating each level 90° so the 31″ pieces always sit on top of 24″ pieces. Use 6″ nails to make two connections per level, one connection in the middle of each 31″ piece. 4. Connect the planter boxes. 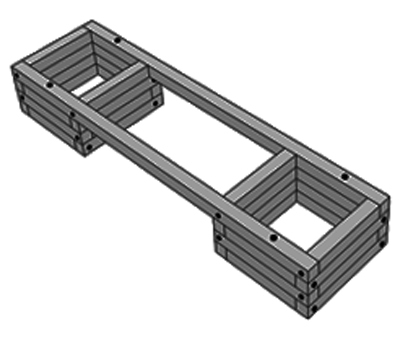 Connect the two planter bases with the 4x4x10′ beams, sandwiching 24″ pieces between them as pictured. 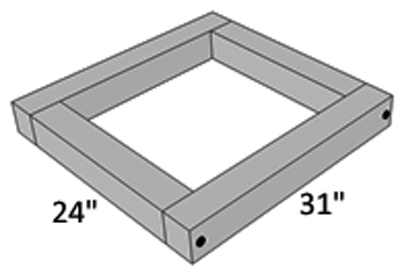 Attach both the 4x4x10′ pieces and the 4x4x24″ pieces with 6″ nails. 5. Build three more levels on top of the 4x4x10′ beams to complete the planters (each planter should be a total of 7 courses high). 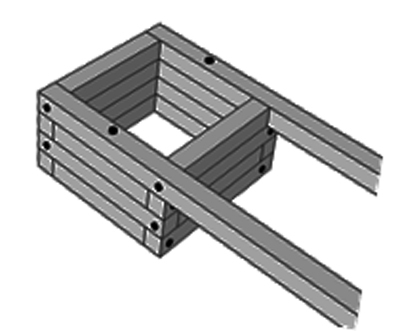 Use the same rotation method from Step 3, using 6″ nails for the connections. 6. 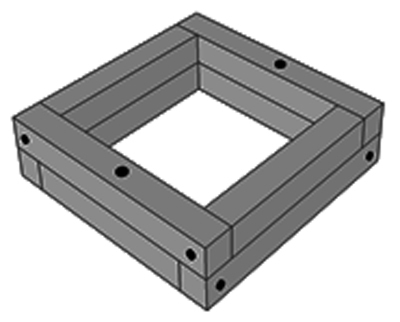 Using the 2 ½” screws, attach the 2x4x31″ pieces to the 10′ beams, leaving even-spaced gaps (about ¼”) between the pieces and between the end pieces and the planters. 7. Sand all rough edges and place the bench its final location. 8. Fill the first ¾ of each planter box with dirt, rocks, or other fill material. 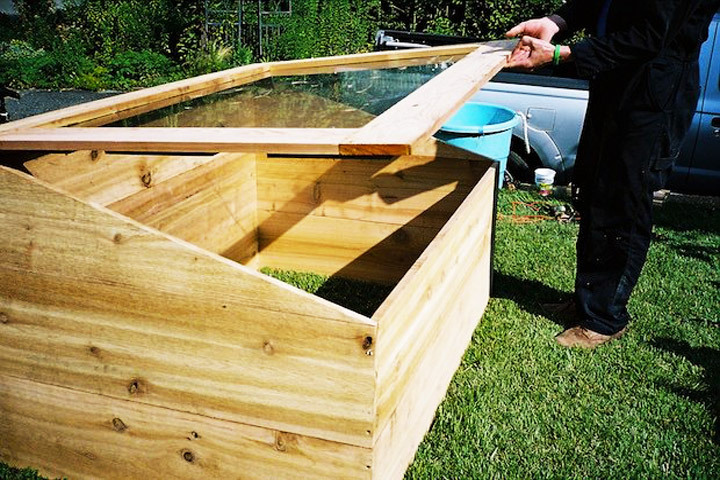 Fill the remainder of each box with potting soil and add plants.